Georgia coach Mark Richt announced on Thursday that Aaron Murray emerged from spring practice as the Bulldogs number one quarterback on the depth chart. After his first day on campus as the "Top Dawg", Murray found the experience "pretty cool". Murray looks forward to the challenge of the position, and realizes it's only a first step in the many he must take as the Dawgs leading man. 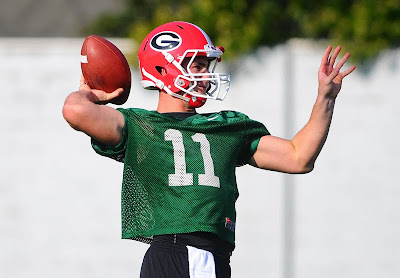 Junior Logan Gray follows Murray on Georgia's treacherously thin QB depth chart. Stay healthy young men, and stay the heck out of trouble.